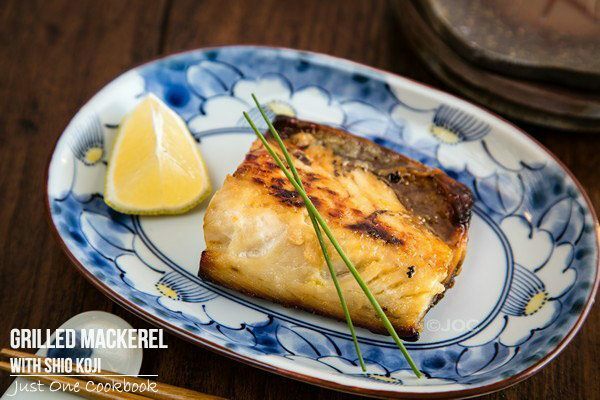 Delicious grilled mackerel fish seasoned with shio koji! The result is a umami flavored fish with a nicely charred crispy exterior. 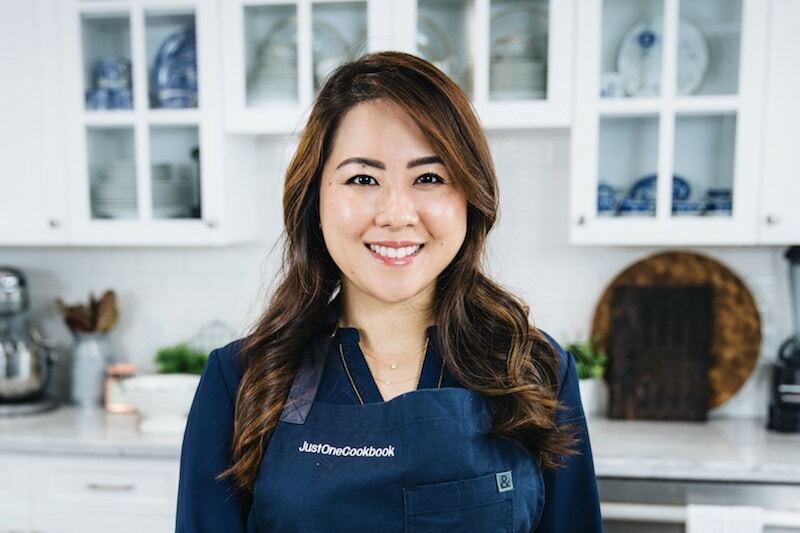 Like many of you, I want to try to eat better and cook healthier meals for my family this year. Instead of red meat, we start to eat more fish since it has less saturated fat and cholesterol. One of our favorite fish recipes is Grilled Mackerel. Packed with omega-3 fatty acid, vitamin D, protein and potassium, mackerel is a great choice of fish to include in our diet. 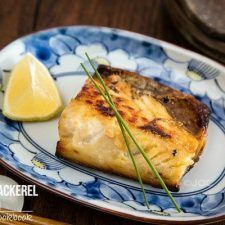 This grilled mackerel recipe is extremely easy to make and the only seasoning that I used was shio koji (塩麴), a versatile ingredient in Japanese cooking. If you’re new to shio koji, you can read more about this magical ingredient on this page about shio koji. Now that you’ve learnt about shio koji, let’s talk about this quick and easy mackerel dish. 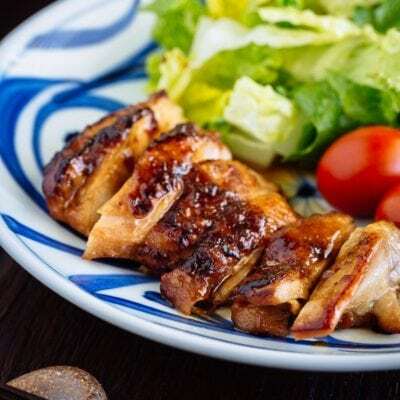 If you are a frequent visitor to Japanese restaurants, you’ve probably seen or tried Saba Shioyaki, or Grilled Mackerel. Saba shioyaki is mackerel seasoned with salt and grilled until the skin is crispy and the flesh is tender. It is sometimes included in bento lunch boxes as well. Since shio koji is rice koji that has been fermented with sea salt, I thought I would just swap salt with shio koji to make Grilled Mackerel. 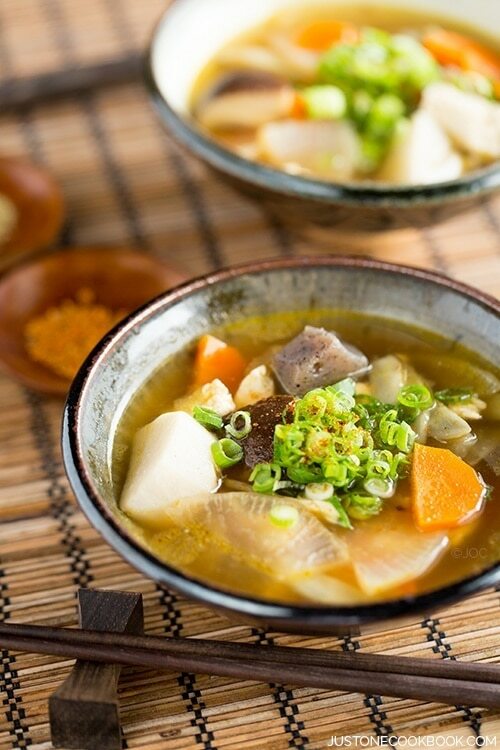 As I expected, the enzyme in shio koji brought out the umami (or richness – one of five basic tastes) of the fish and the result was simply amazing!!! The healthy oil from the fish gave it a nice crispy exterior. And the flesh was very tender and flavorful. With a beautiful char from the crispy mackerel skin, this simple fish dish is ready in minutes. In case you are not able to find shio koji in your local Japanese supermarkets, I made this video tutorial for you to make your own shio koji. 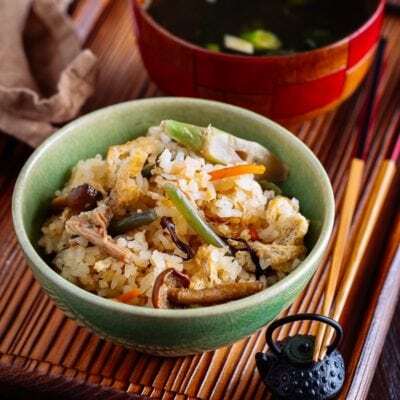 Koji is slightly easier to find than shio koji, so I hope you make your own shio koji to enjoy my shio koji recipes. 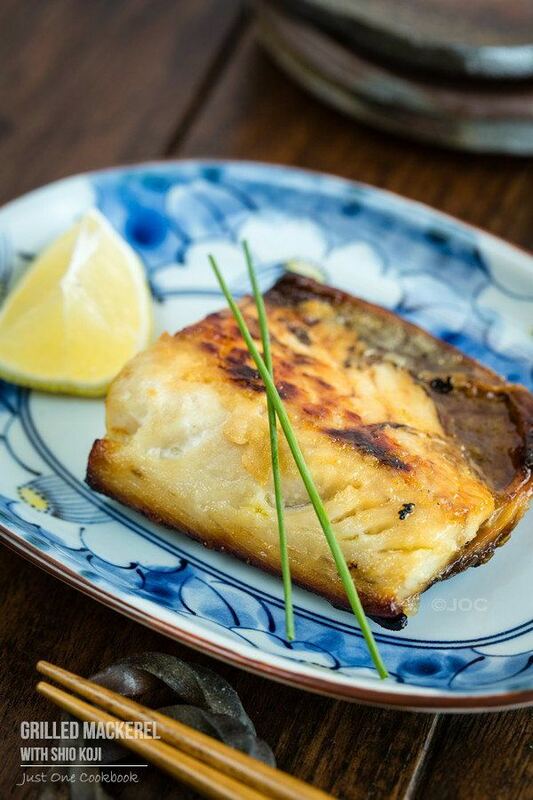 Delicious grilled mackerel fish seasoned with shio koji. The result is a umami flavored fish with a nicely charred crispy exterior. 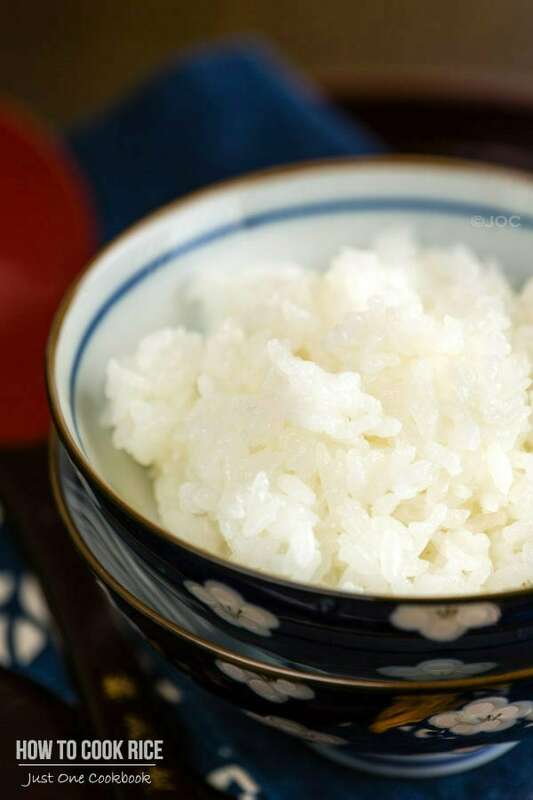 For a step-by-step recipe for Homemade Shio Koji, click here. 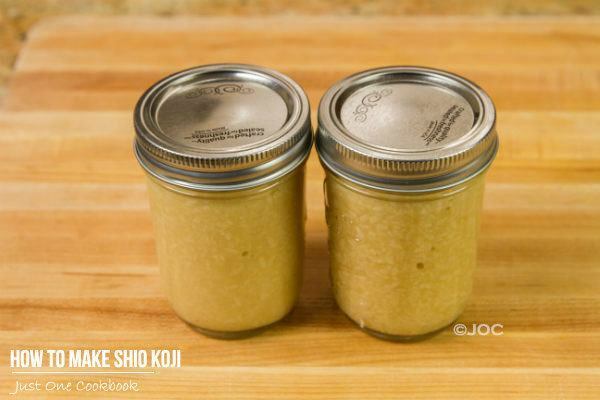 Note: If you cannot find shio koji, use 1 tsp. sea salt instead. 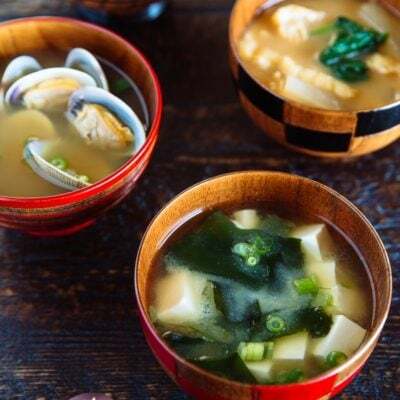 Hikari Miso products are available in Japanese grocery stores and Amazon. Low in calorie and rich in protein, this dish makes a lean and healthy option for everyday cooking. Marinating the mackerel with Shio Koji allows the flavor to permeate throughout the flesh. Also grilling the fish lends it a crispy light char and leaves the inner fillet meat ‘melt-in-your-mouth’ tender. In a flat container, put mackerel and Hikari Miso Shio Koji together and marinate for at least 30 minutes. Grill or broil the fish at 350F (180C) for 25-30 minutes. Or pan fry the fish over medium low heat. Serve immediately with slices of lemon. Marinate Time: Adjust the marinating time according to the size of your mackerel fillets. 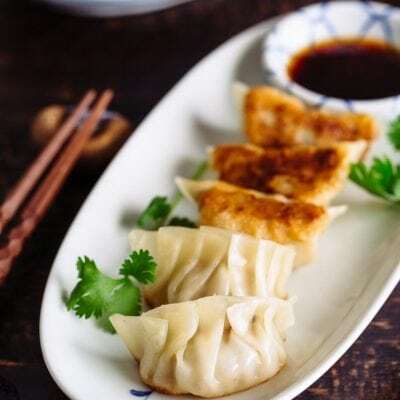 Shio Koji: For homemade recipe, click here. Shio koji sounds like a fascinating condiment though I wouldn’t be likely to use it on mackerel as I’m not too fond of it’s very strong taste. That mackerel looks so flavorful and flaky. I am the biggest fan of fish. Beautiful as always. That grilled mackerel looks delicious! 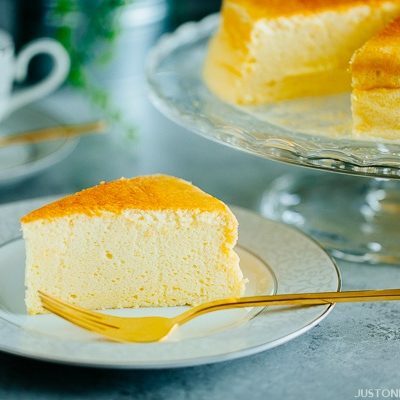 very delicious recipe! We buy mackerel from time to time, so I must try your recipe next time! Thanks for the healthy recipe and one more amazing video! Thumbs up! What great looking mackerel! This is a fish I don’t often eat, I confess – when poorly prepared, its flavor can be very strong. (at least to me). 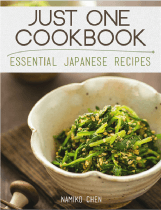 But the Shio Koji sounds fascinating! I need to try this. Really interesting post – thanks. i have been trying to incorporate more fish compared to last year but its always a frozen type. Love this grilled mackerel..
Oh how delicious this looks. I really enjoyed your Shio Koji YouTube video. Glad to see the recipe in action. The video makes it easier to follow. Thanks for your hard work to bring this deliciousness to us. Have a good week, Nami. This recipe looks really delicious! I really want to make some pickles to go along with this in particular I want these dark green/brown pickles that I saw at all the restaurants when I was in Japan. I’ve done some googling and found something that looks similar called “Kyuchan” or キューちゃん. 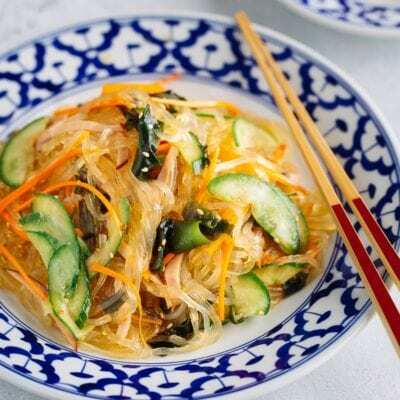 Do you know how to make these style of pickles? This sounds great, something everyone would like! I am constantly reminding myself to put fish on the menu more often at home. Thanks for the inspiration! This looks delicious! Mackerel is one of those fishes I make quite often and it is popular in India. 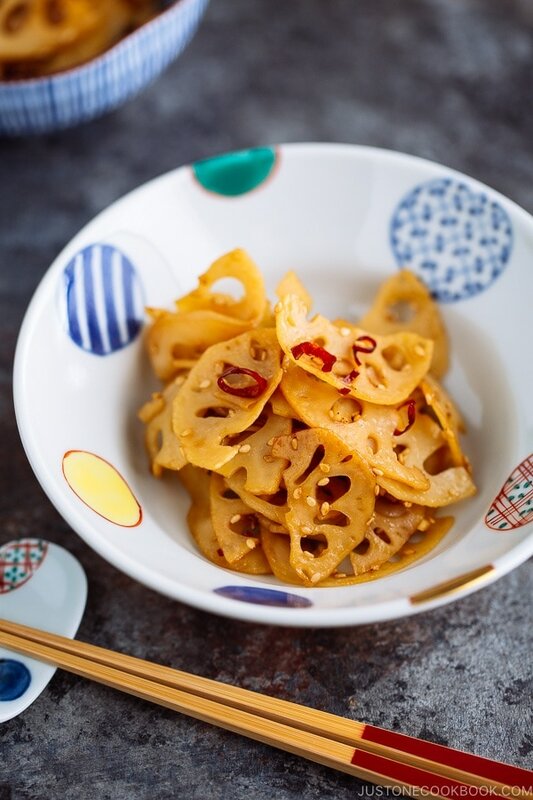 This recipe is so simple and seems like full of flavor, great one. 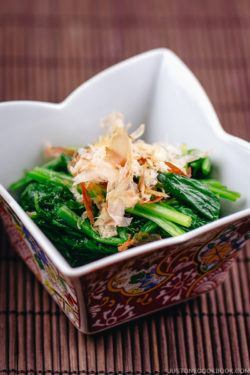 Mackerel is so packed with nutrients – this makes me realize what I’m going to cook this weekend! I love fish, and have it grilled is the best way. Ok, maybe I like it fried, but as you said, this is more healthy, right? I should start eating healthy more often…!!! What a beautiful piece of fish! I’ve never had grilled mackerel. It’s been ages since I’ve had mackerel at all. Now I’m really craving a piece. I bet this taste absolutely awesome with the Shio Koji! Fish is something we sould be eating more often. Your fish looks very well cooked Nami! Definitely a dish I would love to have on my table! I am always looking for new ways to cook fish and love this grilled mackerel dish. 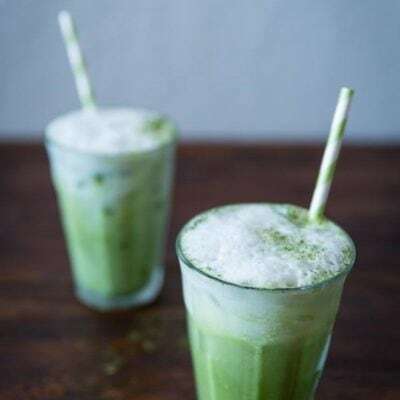 Thanks for sharing another tasty and healthy recipe Nami and hope you have a great week! Beautiful fish! I have only had mackerel once and I loved it, but it’s so hard to find around these parts… darn midwest! This looks like fun to make and with the mackerel I’m sure it tastes delish! 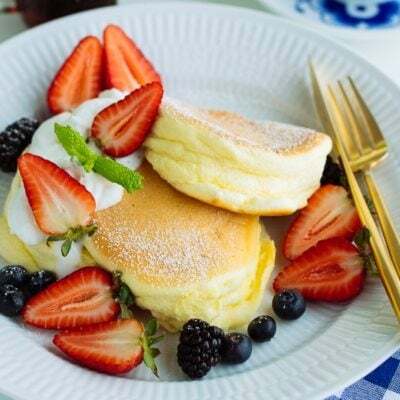 Nice recipe, thank you for sharing. Your mackerel looks perfectly grilled and so delicious! I love mackerel and was thrilled to see it fresh at the grocery store the other day. 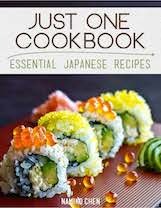 I’m also happy that there are many Japanese products here so I can keep trying out your recipes, Nami. Will be looking for this new ingredient. Thanks for sharing! This grilled mackerel looks delicious! You always make something simple like this humble mackerel to something fantastic. Love your videos! I’ve been wanting to eat more fish, so I will definitely try this one! Sounds and look great. Eating healthy is one of my resolutions too for this year :). Never heard of shio koji before!!! I guess I need to tackle Japanese cuisine more. 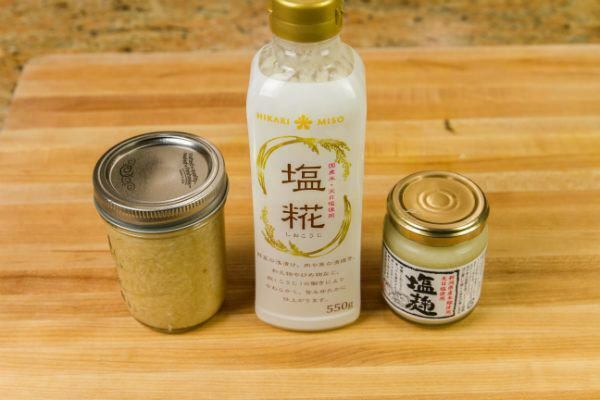 I might have difficulties finding rice koji… but I’m very tempted to make my own shio koji! Maybe I’ll bring rice koji next time I go to Japan! I am looking forward to play with it. The mackerel looks fantastic. (You have reminded me I haven’t had a fish for several weeks now! Squids don’t count really…). Such a wonderful flaky looking piece of fish! It looks really huge too… I thought mackerel was so small and tiny?! Thank you for such a fast reply.. I live in Virginia and have hunted every grocery store and specialty shop here to find mackerel. Is there any place I can order it frozen that you know of? My husband would just be happy as can be if I made this for him. Thank you for all your help and of course the recipes which he loves. Hi Nancy! Japanese, Korean, and maybe Chinese market… I’m not very familiar in Virginia to suggest where we can find mackerel… so sorry. Hope you can find it. Frozen should work just fine too. wow, such a gigantic piece of mackarel fillet!!! perfectly charred and looks still moist…. My mom isn’t a huge red meat fan, so she often cooks fish. This dish looks like another great addition to our dinner menu! Does this have to be used with mackerel? Luckily we have an Asian food market in our small town that is very well supplied so mackrel is easy to find for us but I’m just not the biggest fan of the flavor. Are their other cuts of meat you’d suggest? Nami san, what other fish I can use for this recipe? Can I use snapper or hamacci?